OSLO – Resource-rich Argentina is expected to join the international transparency standard for managing oil, gas and mineral resources, the Extractive Industries Transparency Initiative (EITI) said on Monday, which could make it more attractive for investors. The global initiative, launched by Britain's former prime minister Tony Blair in 2002, requires member countries to disclose how they allocate licences and how much they receive from the companies in tax, royalties and other contributions. So far, 51 countries had joined the EITI, including 24 in Africa. In its latest push for transparency, the EITI has set a requirement to disclose beneficial ownership of extractive companies to reduce tax avoidance. "We are foreseeing that Argentina can come close to applying to become a member," EITI's Chairman and Sweden's former prime minister Fredrik Reinfeldt told journalists in Oslo. The application to join the EITI, which could provide investors with more security, could come by EITI's global conference in Paris in June, EITI's Executive Director Mark Robinson told Reuters separately. 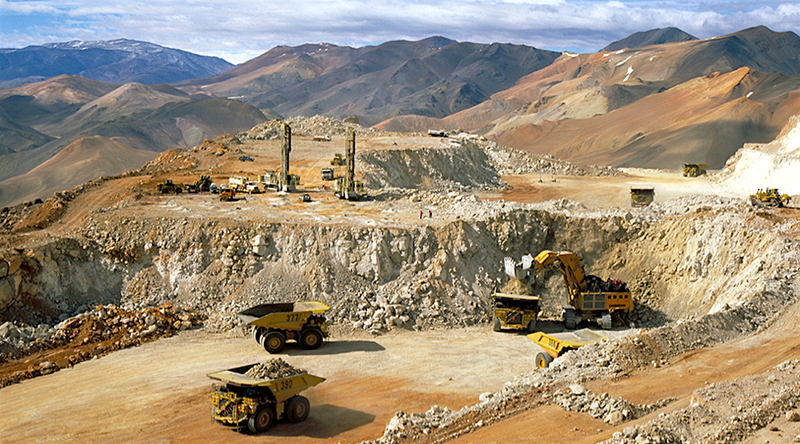 International mining companies have been reluctant to invest in Argentina, rich in gold, silver, lithium and copper reserves, amid lack of regulatory clarity. The world's second-largest gold producer South Africa was also high on the candidates list, Reinfeldt said. Robinson added both Argentina and South Africa's membership could encourage their regional neighbours, such as Chile and Ecuador, as well as Angola, also to join. EITI has been already in talks with the government of oil-rich Angola, while Lebanon was another potential candidate to join, he added. EITI's efforts, however, were hit, when the United States pulled out in 2017, while the world's top oil, gas and mineral producers, including Russia, China and Australia have never joined. Reinfeldt's home country, Sweden, is also not a member. Even if Russia and China are not members of the EITI, their companies operating in EITI member states in Africa follow the transparency rules, Reinfeldt said. EITI is also working with some of the world's top commodity traders, including Trafigura and Gunvor. "It's been some quite tough years because the mood in the world is about putting your country first, not relying on multilaterism," Reinfeldt said.